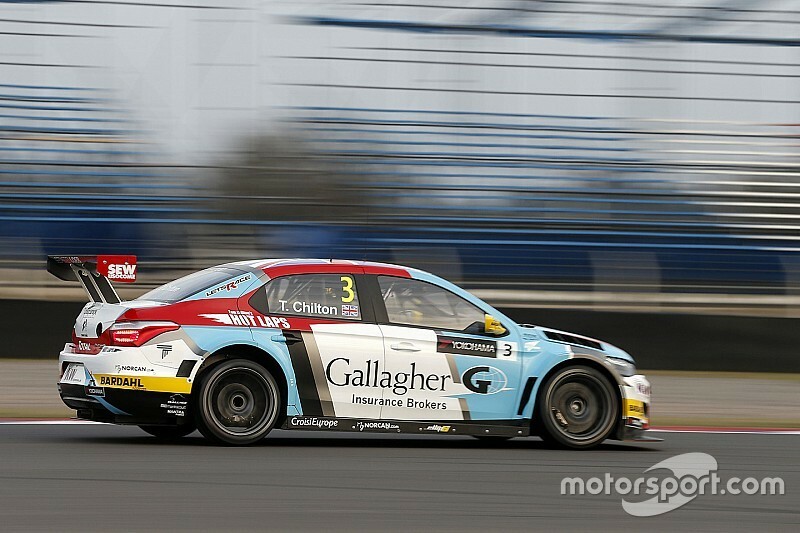 Sebastien Loeb Racing’s Tom Chilton took his first win of the season at Termas de Rio Hondo, Argentina after taking the lead at the start of the race. The Brit crossed the line ahead of Honda’s Rob Huff, who resisted the attacks of Citroen’s Yvan Muller in the latter part of the race. At the start, Chilton immediately took the lead from Campos Racing’s John Filippi, with Honda’s Tiago Monteiro also having a good launch and was up to second, but the Portuguese driver lost ground as he tried to get ahead of Chilton for the lead. Monteiro then slipped down to fifth with Honda teammate Huff and Citroen of Muller getting past him. On the second lap, Esteban Guerrieri began to slow down and so the team called him back to the pits in order to try to fix a technical problem on his Chevrolet in time for the main race. Filippi was still in second and defending well from Huff, as Citroen’s Jose Maria Lopez started to make ground to move to ninth after Lap 5, from the back of the grid, where he had started due to his engine change penalty. Up ahead, Filippi made a mistake by going wide at Turn 1 on lap seven, which allowed Huff through, with Muller and Monteiro passing the Frenchman after a just few corners. Bennani also tried to attack Filippi at the last corner, but the two made contact, for which the Moroccan got a black & white flag. The incident triggered more mayhem, as Tom Coronel made full use of the chance and went up to sixth, followed through by Lopez and Norbert Michelisz, relegating Bennani to ninth. As Coronel tried to attack Filippi on lap nine at the chicane, the ROAL Motorsport driver ended up being passed by Lopez and Michelisz. On the following lap the Citroen driver got past Filippi, taking fifth place away from the Campos Racing driver. Chilton went on to win the race despite Huff and Muller closing in on him towards the end, with Monteiro not too far behind in fourth. 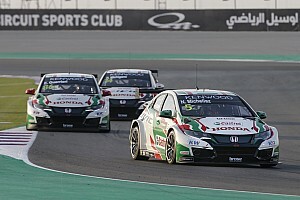 Lopez finished fifth ahead of Michelisz. Coronel finished seventh, ahead of Bennani and Thompson, while pole sitter Filippi closed out the top ten and scored a point outright. Lopez’s advantage in the championship over Monteiro is reduced from 106 points to 104, with the Argentinian starting the next race from pole position.